Getting Ready for Competition to Begin! 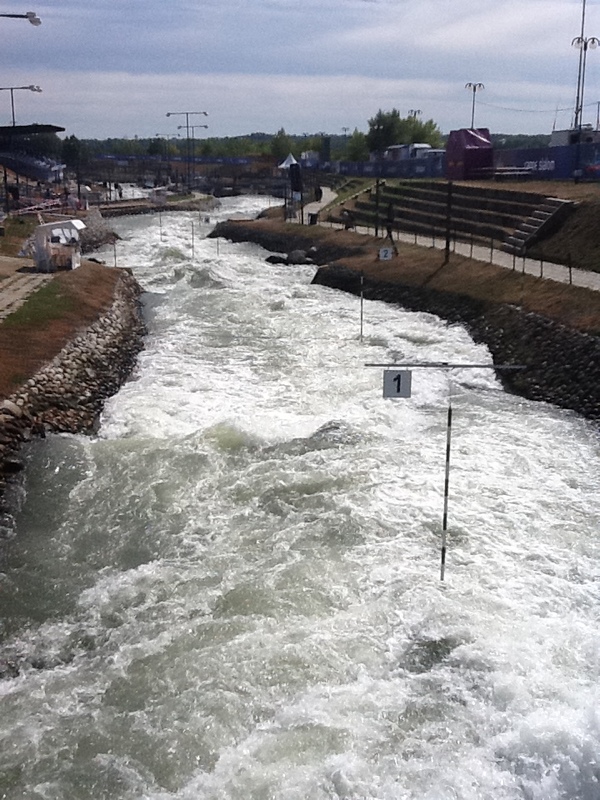 Terry is part of the Deep Creek 2014 Delegation attending the 2011 Canoe Slalom World Championships in Bratislava, Slovakia. 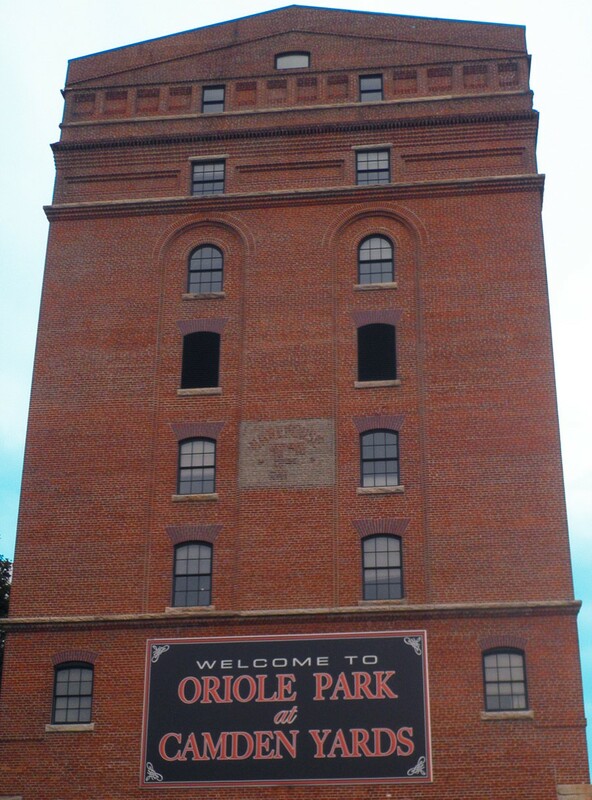 Here is his second blog entry chronicling his trip! After getting settled in to our hotel and learning our way around Bratislava, the Maryland delegation made it’s way to the course for a full day of white water exploration and logistics. The course along the Danube River is fantastic. The course is linear in nature with two white water canals and one flat water course. The water flow is pretty dynamic and powerful with many challenging gates which should make for some pretty exciting runs throughout the week. While the athletes were taking to the course for their practice rounds, we explored the operations of the complex, unguided and with members of the Bratislava LOC. Maryland’s delegation led by Gregan Crawford, Jim Hinebaugh, Suzanne Nicolas and Bob Campbell observed every inch of the facility to ensure that all our bases will be covered by 2014. The learning curve has been sped up as we are learning the significant details that will help us develop a winning operations, marketing and promotional plan in the months ahead. The most important aspect thus far has been our time talking with the athletes and coaches from TEAM USA. In addition, we have been able to talk with many of the ICF technical team and ICF leadership. The shoes to fill are large, but I believe Maryland is up for the challenge. The day concluded with the Opening Ceremonies which was filled with live entertainment, team introductions and dignitary remarks. 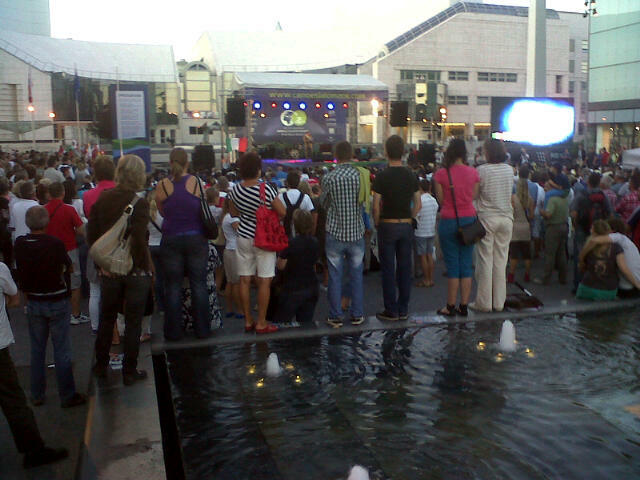 The event took place near the historic city center, Euronvea, in a beautiful open air plaza. 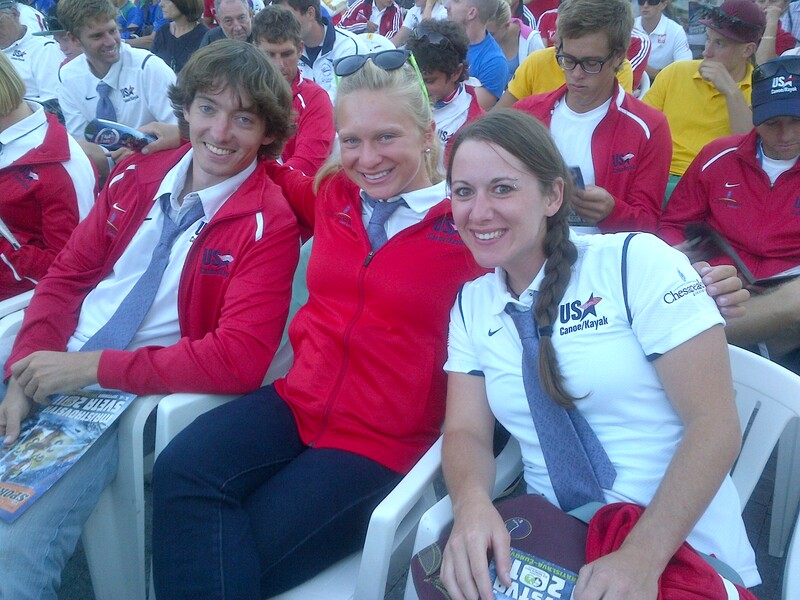 TEAM USA was sporting the ties that were designed by the Maryland Office of Sports Marketing….they look good and most importantly, the athletes were appreciative of our commitment to them and the sport. Following the ceremony our delegation was invited to a private reception for team leaders and VIP dignitaries at a beautiful and historic palace, former Slovakia presidents headquarters. We were introduced to ICF president and IOC board member, Jose Perurena Lopez. We have a meeting with him and other ICF leadership later this week. Today, the competition begins! We hope to be able to see all the finishing touches to the venue as many of the hospitality tents, corporate sponsorship booths, banner hanging, etc…was to be completed during the overnight hours.